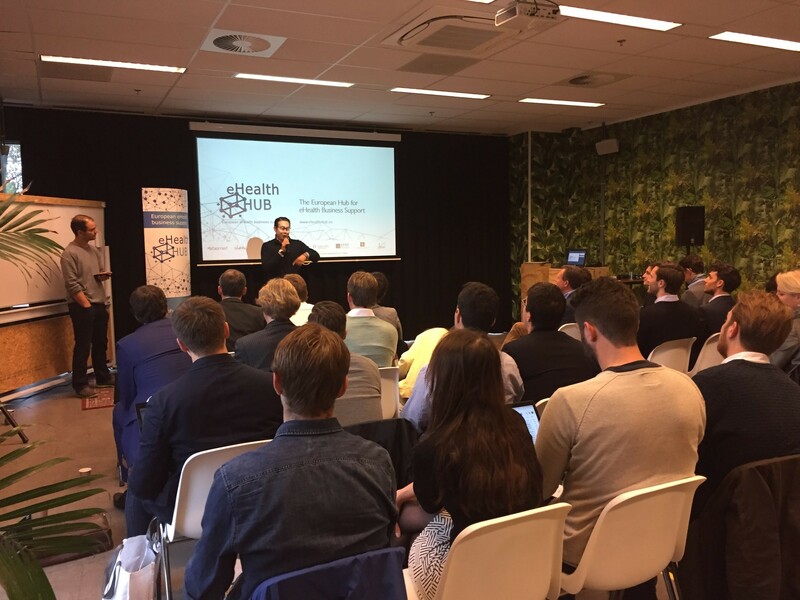 On October 24th, the 9th Edition of EC2VC Pitch Competition took place in Amsterdam as a satellite event of Health Pioneers. 10 startups pitched their solutions in front of 17 investors active in digital health who came from across Europe to attend the event. Each SME had 4min to present their solution, followed by 4min Q&A from the investors. They were evaluated by a jury of investors based on 4 criteria: competitive in their market, strength of the business model, scalability and likelihood to attract investment in the next 3-6 months. And the winner of this 9th EC2VC edition is … Humanoo from Germany. 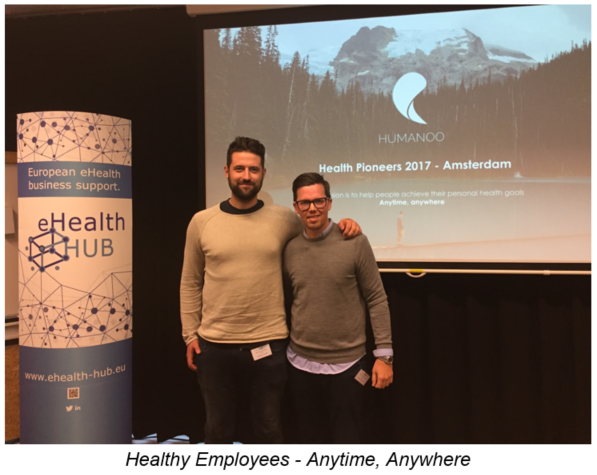 They received a ticket for Health 2.0 Europe 2018 conference and one month of support from eHealth Hub to help them identify the right investors for their solution. Congratulations! HUMANOO analyses the individual health status of every employee and recommends coaching in physiotherapy, mental training, nutrition and workouts specifically tailored to their needs. We would like to congratulate also Atlas Biomed and Baze, winners of Pioneers’ pitch competition that was taking place the following day.